Every new horse snaffle bit offered by Horse Tack Now is professionally made and goes through a stringent quality control team that makes sure you only receive the greatest quality products availiable. If you are in need of horse snaffle bits we have just what you need. The single jointed bit creates pressure in certain places in the mouth through the snapping action of the rings and mouthpiece. 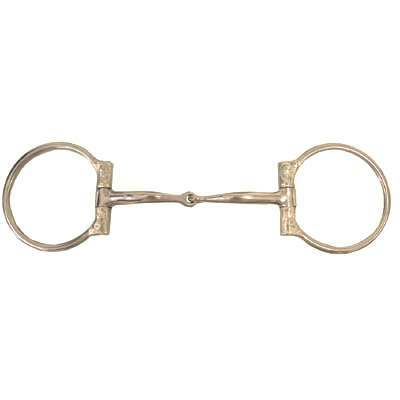 This Futurity Show Snaffle Bit is a top quality jointed snaffle that is easy on the horses mouth. This product was designed to last for many years with its unique and durable design. This item is also engraved and measures 3'' rings and 8mm mouth. These horse bits are in stock and ready to be shipped here at Horse Tack Now.